It writes, it works with touchscreens, AND it charges your phone! The best gadgets are those that can do a variety of different things, and by this yardstick, the Connector Power Pen is one the best darn gadgets on the planet! 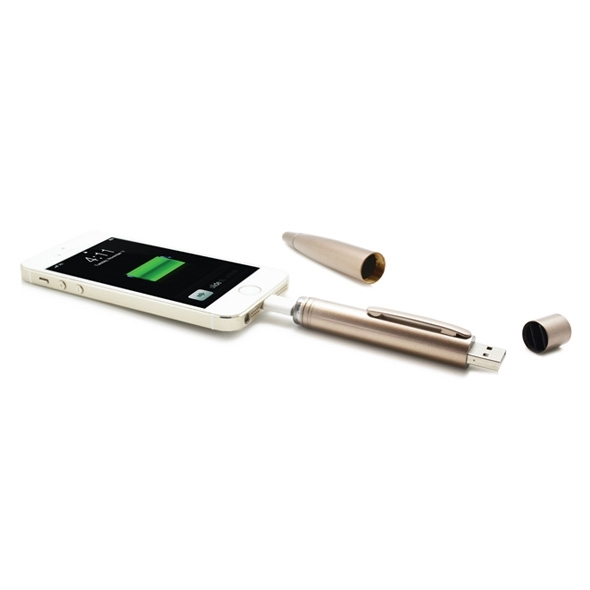 It's three useful items in one: not only can it be used as a ballpoint pen AND a touchscreen stylus, it also contains a power bank for charging your mobile device on the go! Smartphones are great, but it does seem like they're constantly running out of battery. 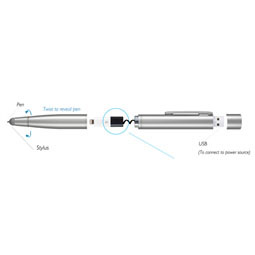 The Connector Power Pen ensures that you've always got a handy supply of extra juice for your phone - and, as a bonus, it also functions as a pen and a touchscreen stylus! Take the top off your Power Pen and plug it into your computer's USB port to charge. 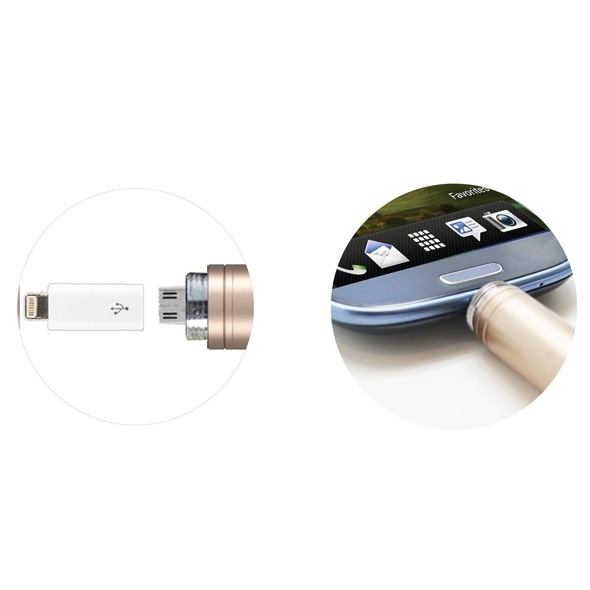 Remove the end of the pen to reveal a micro USB - plug this into your phone to charge, or use the 8-pin adapter (included) for 8-pin devices. Twist the writing end of the pen to reveal a nib for writing, or retract the nib and use as a normal ballpoint pen.